Mousse is a French word meaning 'lather' or 'foam' and so lends its name to a food which has incorporated air bubbles to make it light and airy. A light raspberry mousse served with a rich chocolate sauce. 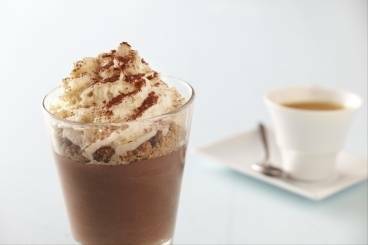 A rich chocolate mousse made with amaretti biscuits, a splash of amaretto and finished with crème chantilly. 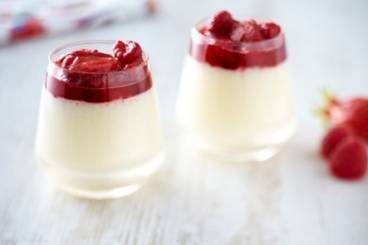 A light and fluffy mousse flavoured with creme fraiche and served with a sweetened raspberry and strawberry compote. 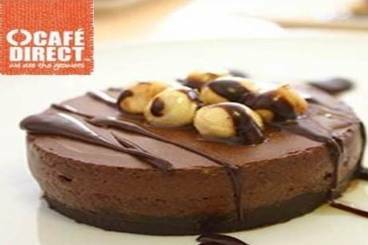 Last year, Cafédirect challenged the nation to create the perfect dessert and coffee combination, and thanks to L'atelier des Chefs, you can taste the winning recipe. With dark chocolate and nutty flavours, Saskia Rogerson's recipe perfectly complements Cafédirect's Machu Picchu Roast & Ground coffee. This hand-picked, hand-roasted coffee's rich, chocolately, walnut aromas come to life with this delicious dessert! A rich dark chocolate mousse with an almond crumble and a tiramisu cream. An indulgent chocolate mousse with minted strawberries, crushed Amaretti biscuits and a sprinkling of pistachio. A simple starter of fresh scallops and herbs topped with crispy croutons. Light and airy mousse made with milk chocolate served with crisp almond and pistachio tuiles. Summer strawberries folded through a mousse of egg whites and double cream. Finished with a dark chocolate drizzle and a crisp pistachio crusted tuile. Plums caramelised with sugar, wine and mixed spice, served with ginger shortbread.